A new model for 2011, Mountfield HP425 is a top of the range, high specification mower. This four wheel model has an easy to start, premium quality engine. Powered by a Honda GCV135 four stroke petrol engine, this mower is hand propelled . Grass cuttings are collected into a 60 litre capacity quality fabric collector. 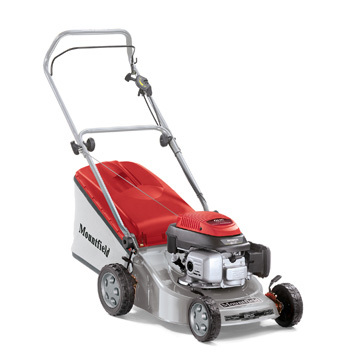 The Mountfield HP425 is a premium mower at an affordable price.